I definitely think Kristen is true to bottle -- doesn`t wear as "baby blue" on me as previous reviewers were saying. soft and pretty gray/blue! Zoya Nail Polish | KristenBeautiful! This color is so nice. It is a grey, it`s just a cool grey vs neutral. It does pick up cool tones, which makes it pretty versatile. It is the same grey you`d see on a mourning dove.. soft and lovely! I get compliments for it all the time. Goes on clean and has good staying power. 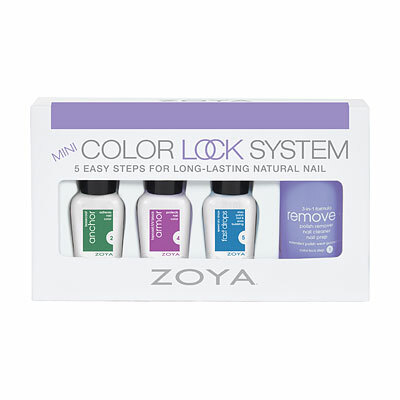 Thanks Zoya! 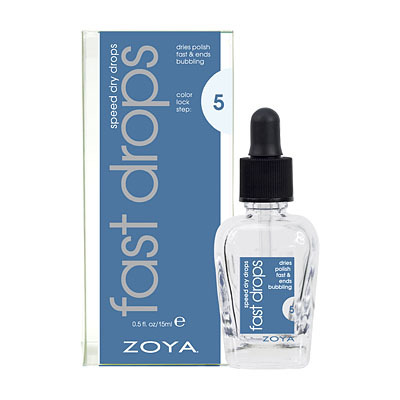 Zoya Nail Polish | KristenCool Baby Blue Color! I thought this might just be the ticket! I was right. I love this funky color on my nails! Lots of comments on WHERE DID I GET THAT COLOR!! Well it is gorgeous on with 2 coats and is not so much gray but more a massive baby or powder blue color. I would wear this color any time of the year. You had better memorize the name because people are going to ask you...a lot! Be adventurous at 20, 30, 60 or 80 years old. 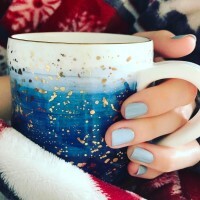 Zoya Nail Polish | KristenLove it! This is one of my favorite nail polishes ever. It looks perfect after one coat. It works well in all seasons. It is super flattering on my pale skin tone. I love it! This color is true to the bottle however when you wear denim it does have a blue cast to it! This was one of my first Zoya polish purchases and I was looking for a light pale gray. However, it is actually a light baby blue with sparse glitter. I don`t know if it`s supoose to have glitter since it is not in the description. So I`m not sure if I got a defective bottle. *Bottom line, if you`re looking for pale gray, then this is probably not the shade for you. This color really didn`t compliment my skin tone, which is cool/yellowish. I was looking for a true grey, but Kristen is really bluish more than it is grey. I`m a fair-skinned, Irish, reddish-blonde with hazel-blue eyes, and THOUGHT this color would be a nice, pale gray, but instead, looks TOTALLY BLUE on me... looks like a shade one of the preschool students I teach would wear! I don`t mind it at all on my toes, though, for the summer... am ordering a bottle of the new, blue, mylar-fleck color to go over it to see if I like it better on my fingers. I LOVE THIS COLOR!I have gotten so many compliments about this color.It is so rich and just plain pretty.A great ALL season color. I really like this color! It is not gray at all - but a pretty, cool, blue color. Def something different than the colors I have. This color could be worn during winter or spring. 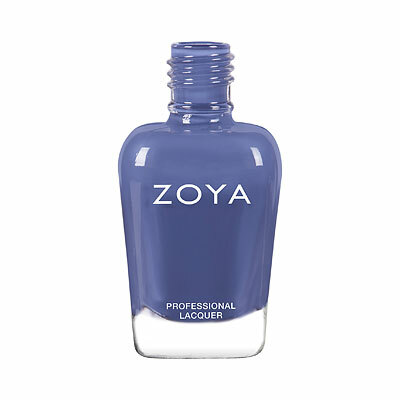 Zoya Nail Polish | Kristennothing `mildly blue` about it . . .
Kristen is straight up sky blue-maybe with a touch of gray. not greyish-blue, not grey with a hint of muddy blue, it`s baby freakin` blue with the lightest amount of grey added. which is fine. i like baby blue. just call it what it is. once the pretty marketing images are removed, it doesn`t seem like a "feel" collection color, seems like a gloomy day color. but still nice and the consistency is rich and creamy. This color is amazing. It`s blue but not overbearingly blue. It went with just about everything that I wore for that week. Just an amazing color--you need this color. As well as all the other colors in the `Feel` collection. Trust me! The color is very true to the bottle, but not necessarily the image shown for it. The color is really more of a light/baby blue than a gray. 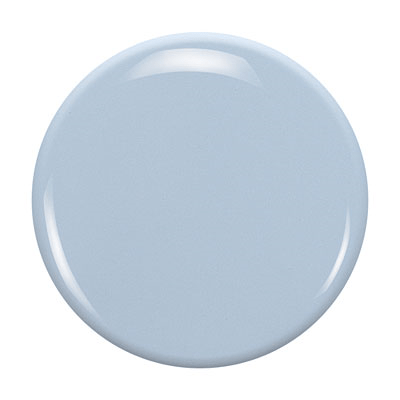 It is a beautiful winter shade of cool, pale blue, but if looking for a creamy gray, this isn`t it.